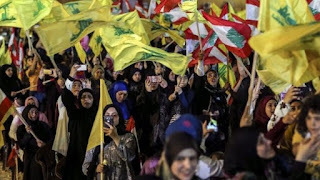 Police in Brazil have arrested a man accused by the United States of being one of the main financial operators of the Lebanese militant group, Hezbollah. Assad Ahmad Barakat was detained near the border with Paraguay and Argentina. He is wanted for identity theft in Paraguay, where he previously served six years in prison for tax evasion. The police in Argentina have accused Barakat of laundering $10m (£7.6m) on behalf of Hezbollah at a casino in the Iguazu Falls area. Barakat, a Lebanese national, was detained in the Brazilian city of Foz do Iguaçu.